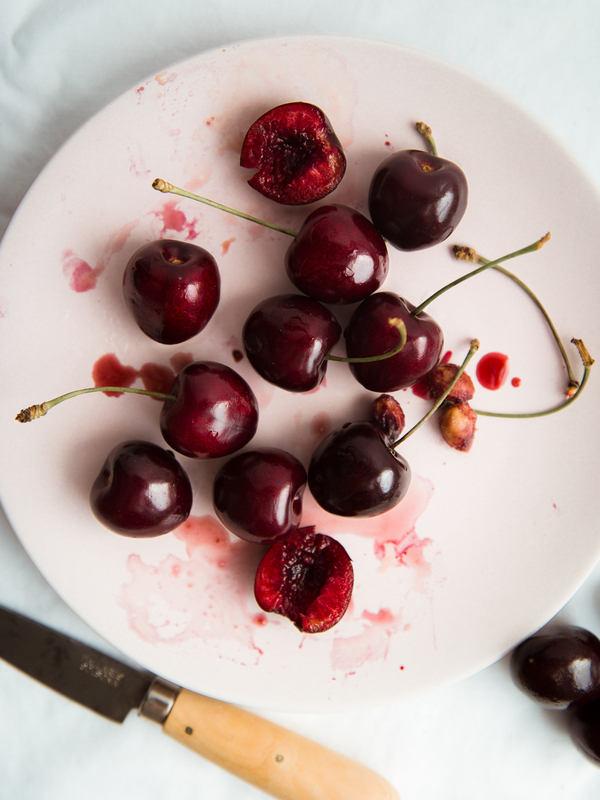 Ahhhh, it’s cherry season! Rejoice! I can’t tell you how many punnets I had to repurchase for shooting this post. They don’t hang around for long! 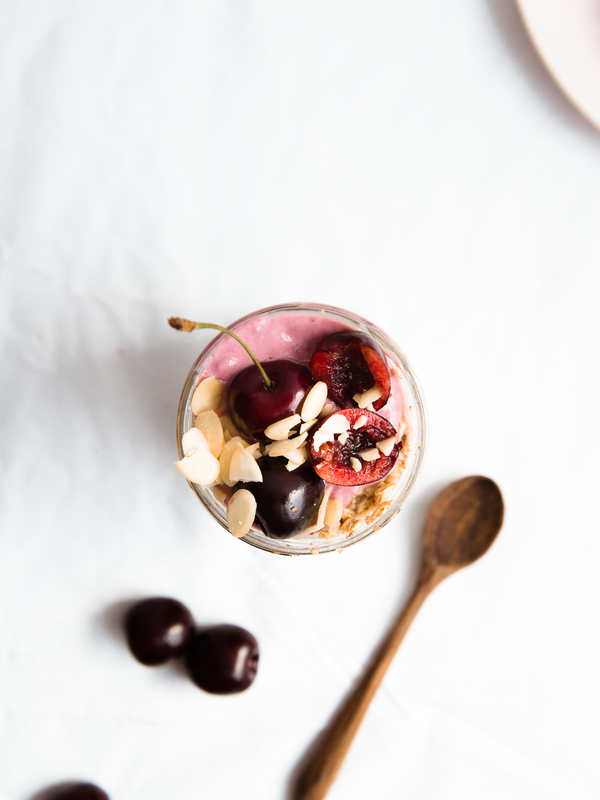 If you can resist snacking through bags of them, how about adding cherries to your overnight oats for a delicious take on the classic pudding recipe? Last year, I came across a Black Forest Bircher. Seeing as the best of us can’t get away with dessert for breakfast, it seemed like a genius compromise. 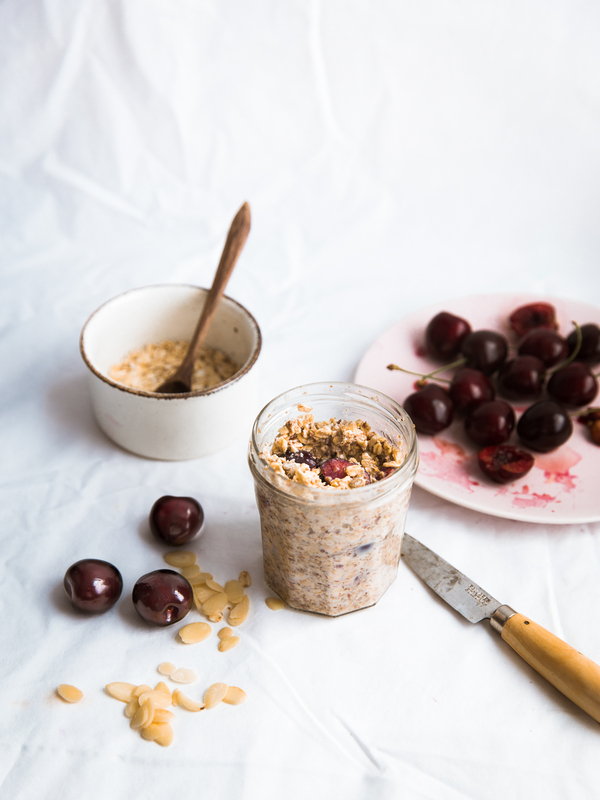 I dread to think how many overnight oats recipes there are in the world. The possibilities are endless though. I’m forever inspired by all of the different flavour combos found on Pinterest, Instagram and even in my cookbooks. Put all but the yoghurt and flaked almonds into a jar, stir and leave in the fridge overnight. 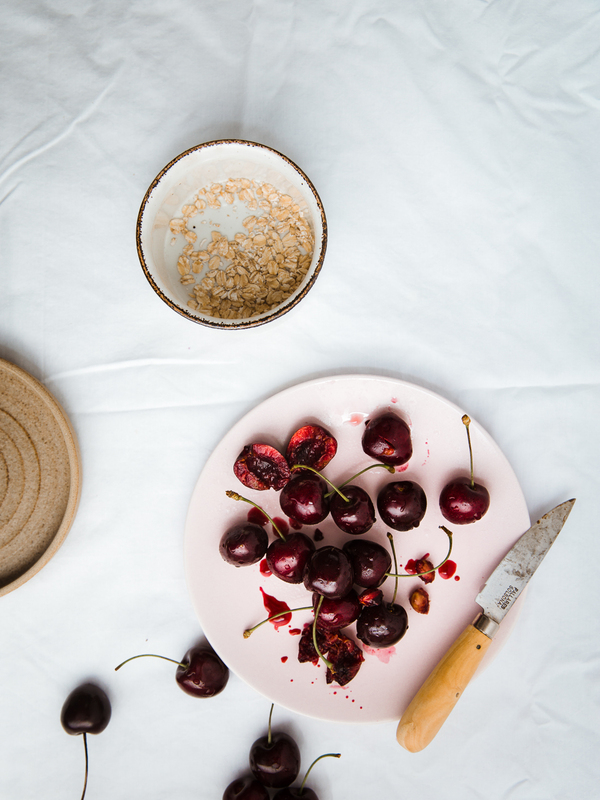 Serve in the morning with cherry yoghurt and flaked almonds, plus a few extra cherries if you fancy!